What to Do About All the Ticks? 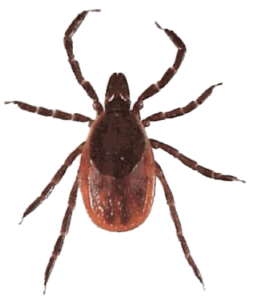 Author SimaPublished on August 3, 2018 August 3, 2018 Leave a comment on What to Do About All the Ticks? All the seasons are beautiful here in the northeast US, but there is a dark side to nature - ticks. Tick numbers, types of ticks, and diseases (including Lyme disease) that people are getting from tick bites are all increasing. Nothing seems to stop their spread and their increasing numbers. While deer ticks have been a huge problem for years, now two new tick species are concerning us here in the northeast: the longhorned tick and the lone star tick. The scary species of longhorned tick (or Haemaphysalis longicornis) was discovered in NJ in 2017, and now it appears that it is spreading rapidly (Virginia, West Virginia, Arkansas, North Carolina, NY). This tick is a native of east Asia (japan, New Zealand, Australia, etc. ), and transmits a number of diseases and infests livestock in eastern Asia. It is especially worrisome because females can clone themselves - so they can appear on animals in really large numbers in varying stages. (The photos are horrifying.) The lone star tick is an aggressive tick that can march across the lawn and up onto the deck to get to humans. And its bite is linked to red meat allergies! How are ticks spreading so rapidly in the US? Many researchers say that with a warming climate ticks are more active for longer periods of the year and can now live in places long thought that they couldn't live (e.g. at higher elevations). But there's more to it. Yes, tick species and tick-borne diseases are now spreading across the US due to warmer winters (climate change! ), but research also shows that they spread due to migratory birds carrying (and depositing) ticks along migratory paths. The huge, huge increase of deer populations in suburban areas is also spreading ticks. As well as small mammals (especially mice!). And on and on. What to do? There are many pesticides available that can reduce tick populations (spray or apply to lawns and vegetation), but it is questionable whether it really helps. One good 2 year study found that pesticide treatments reduced the number of ticks, but not the number of human-tick encounters and it didn't reduce the number of tick-borne diseases (e.g. Lyme disease). Also, ticks like to live in "leaf litter" at the edges of the lawn and under bushes, in woods - all places hard to treat. Plus, animals and birds visiting the yard are constantly bringing more ticks to the property. Basically the advice has generally been that it is up to the individual to prevent tick bites by applying an insecticide, or wearing clothes that have the insecticide permethrin on them, checking yourself after going outside and removing any ticks, showering after going outside (even if it's at the end of the day), changing and washing clothes (and put into the dryer to kill the little suckers) after going outside. But there is some concern about some insect repellents (e.g. DEET), especially if used frequently, and many people don't want to apply pesticides such as DEET daily on their children or themselves. The one question that I hear the most is - are there nontoxic insecticides that are safe to use daily, especially for children? The answer is YES - a good one is Oil of Lemon Eucalyptus (OLE). My absolute favorite non-toxic insect repellent that I think is fabulous and also highly recommended by Consumer Reports as being effective against ticks (and mosquitoes) for at least 6 hours is: Repel Lemon Eucalyptus Natural Insect Repellent (comes in a pump spray). We found that it also repels other biting insects such as black flies, and washes well out of clothes, so a total win! My understanding is that the CDC (Centers for Disease Control) does not recommend it for children under the age of 3 at this time because studies on this age group have not been done. Others also suggest some non-toxic possibilities for the yard: raise free range chickens (they eat ticks!) or guinea fowl (eat ticks, but very noisy), encourage the presence of foxes (they eat the mice, and a study found they really reduce tick populations), can throw tick tubes such as Damminix (contain cotton balls with permethrin that mice carry back to nests) into the bushes or woods around your property. And a large study in NY state is investigating a new possibility for non-toxic tick control (as described in the last post) - whether tick bait boxes (The Tick Control System) and/or applying a non-toxic tick killing fungus (the product Met52) will lower tick numbers and tick diseases. The researchers are hoping tick reductions of at least 90%! Finally some encouraging news. Published on August 3, 2018 August 3, 2018 Categories children, Lyme Disease, pesticidesTags insect repellents, Lone Star tick, longhorned tickLeave a comment on What to Do About All the Ticks?